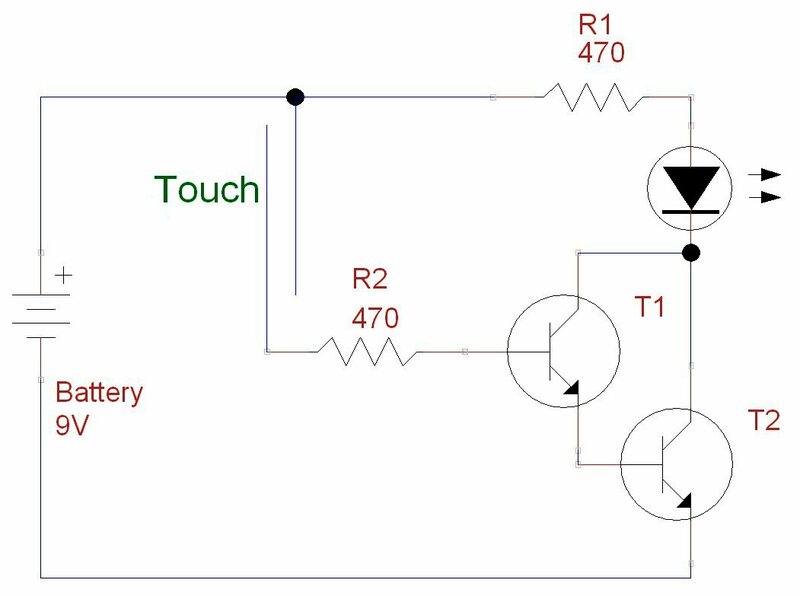 This is an upgrade to an earlier project published on this site called "Transistor Touch Switch Simple Science Project"
That earlier project shows you how you can use the gain of a single transistor to switch on an LED simply by touching your finger across a pair of wires. The circuit works pretty well but the transistor that I used only has a current gain or Beta of 100 which is typical of general purpose bipolar junction transistors. This means that the circuit isn't as sensitive as I would like it to be. To make the LED glow brightly you may need to wet your finger or press harder. 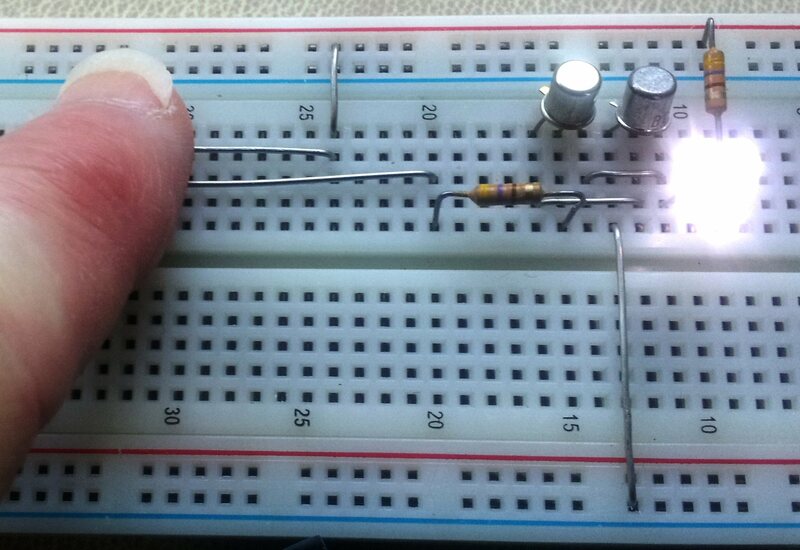 I thought that I would try building the same touch switch again but this time I used two transistors in a Darlington Pair configuration to get better gain from the circuit. In a Darlington Pair circuit the first transistor feeds the second and effectively multiplies the two Betas or gains together. Instead of a gain of 100 it should now have a gain of 10000. That sounds much better. If you have previously built the single transistor version then you should see a big improvement with this one.